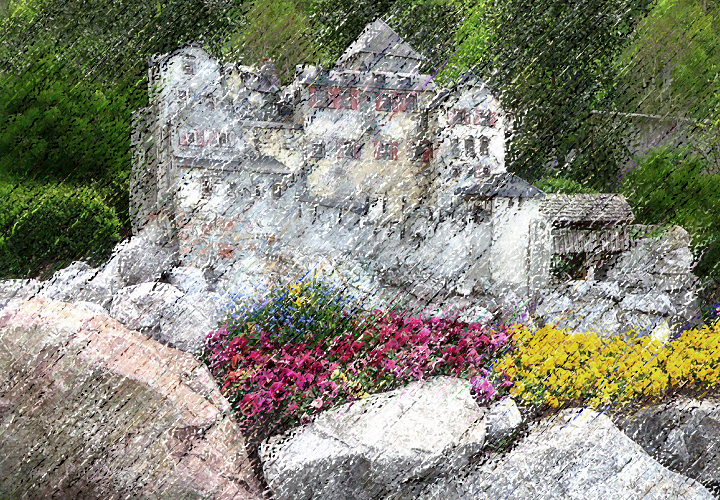 I created this filtered image from a good friend’s photo taken while traveling in Lichtenstein, Europe. For me, there has been no misunderstanding about the purpose of my journey. As I search to find insight from my life experiences – my true goal is to inspire healing and find joy in life. Perhaps I was naïve when my journey began in 2010. Sustaining joy has been elusive for me. But I’ve continued to face challenges and my most recent ones have been difficult for me to overcome. I never want to lose hope or stop dreaming. 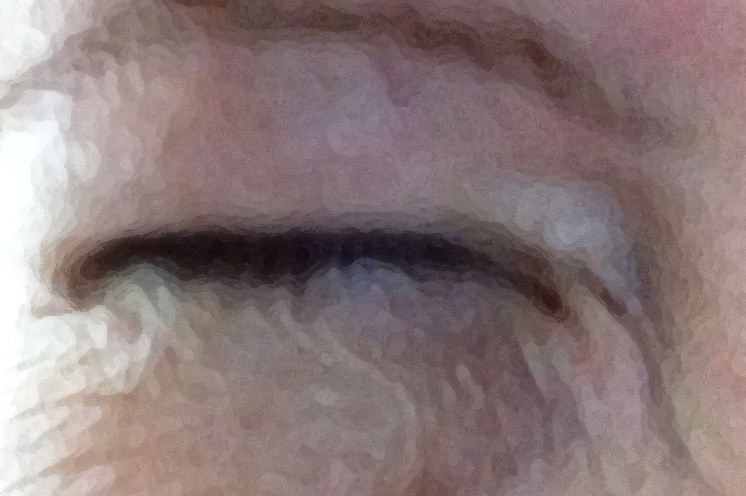 Due to my dry eye condition, I have not felt “normal” for some time. I continue to learn a lot about dry eyes, which can be considered a disease. I am not alone with it and reading about what others go through with this syndrome is heartbreaking for me. There are many causes and many degrees of suffering. The chill that I’m feeling is the one that comes from pretending. I continue to maintain composure even when I’m not really okay. It takes tremendous energy to plod onward when you’re in pain. I’ve always believed that I would find a way to feel better. Unfortunately, much of what I’ve done hasn’t been helpful, especially in regards to food. True peacefulness happens for me when I harness my thoughts. A few weeks ago, I was in a very low place and wrote a story. It is a story about trying to get out of Hell in order to find a way back to Heaven. The good news is that I am on my way! Since I wrote my story, some things have occurred that haven’t been easy for me. But I have not fallen down. I’ve found a way out of Hell and do not plan on going back. God continued to bless the Princess. The Princess was grateful for all her blessings. But unfortunately, the Dark Witch caused the Princess so much pain that the Princess had difficulty smiling or opening her eyes. Melody continued to comfort the Princess, but the Princess was succumbing to her pain. In a panic, Melody called out for Hope and Dreams to help find a way to save the Princess. Melody wiped her eyes and thanked them. 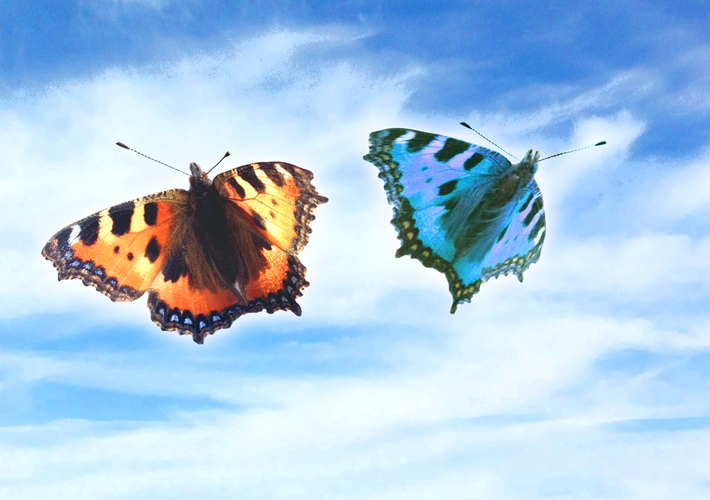 Hope and Dreams were such beautiful butterflies. 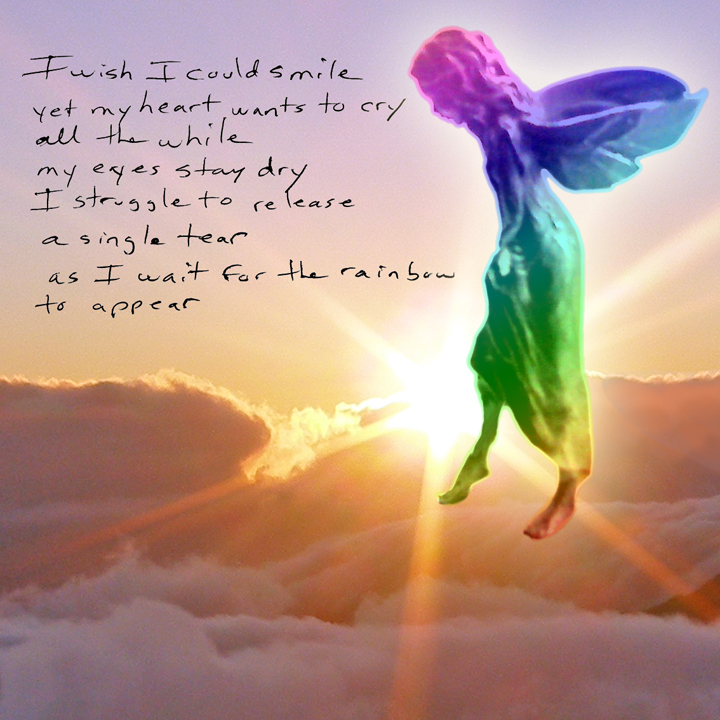 She watched them sail softly into the sky with their colorful wings dancing in the sunlight. The Princess once dreamed of being free. But now prison walls surrounded her and unfortunately they were ones she had actually built. Brick by brick, she had walled herself in as a way to shield herself from pain. Gradually the bricks piled higher and higher until they blocked out the sunlight and kept her in darkness. Pain came in the form of many distinct images for her. Sometimes, she saw a white spider. Other times, she imagined a Dark Witch holding a broomstick. The Dark Witch delighted in poking the Princess’s eyes with the stinging end of a broom to torment her. 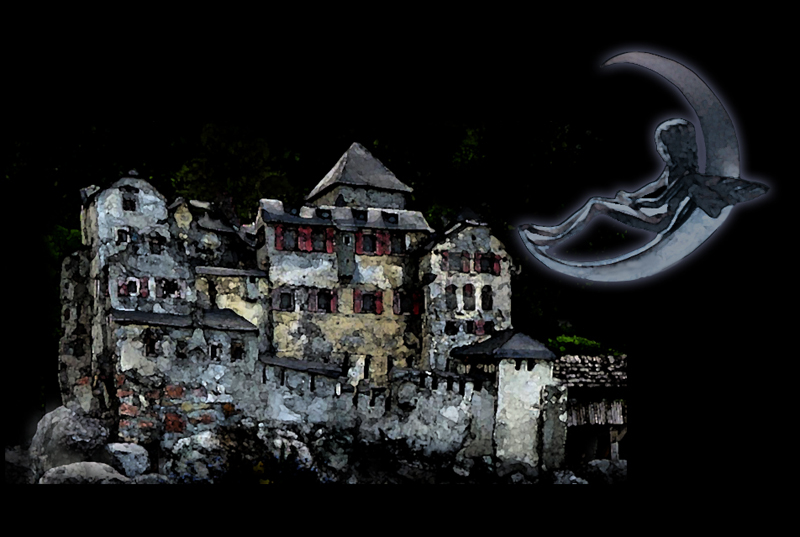 Her spell was so evil that the Princess could feel pain even when her eyes were closed. 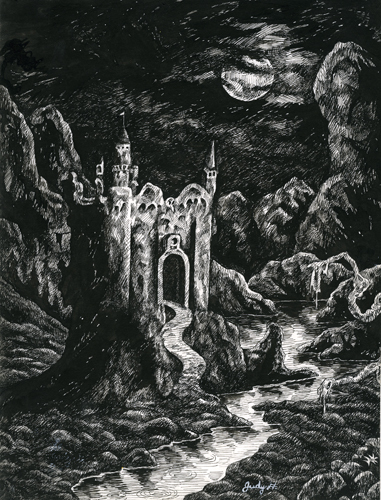 The Dark Witch stood guard at the entrance to the prison where the Princess was. Like a scarecrow; she wielded her broom as a weapon so no one could enter. Somehow Melody was able to avoid the Dark Witch by floating upon sweet melodies directly into the Princess’s heart. The Princess had tried many times to wrestle the painful broom from the witch’s grasp. But she could not tear it away from the Dark Witch. In order to survive, the Princess relied upon Melody for help. Melody blanketed her with music and the Princess sang loudly to drown out her pain. Many times, her voice became plaintive cries because she was so sad. The Princess used food to combat her pain and sadness. It was a very familiar source of comfort and like a drug. But even though it numbed her pain, it caused her to sink lower and lower to the ground from the additional weight she carried. Finally, the Princess could not move and she decided she had truly succumbed to grief. A long time ago, The Princess had been in a similar place. But back then, she had her mother and father to comfort and support her. There was no one now to hold her and give her that kind of love. 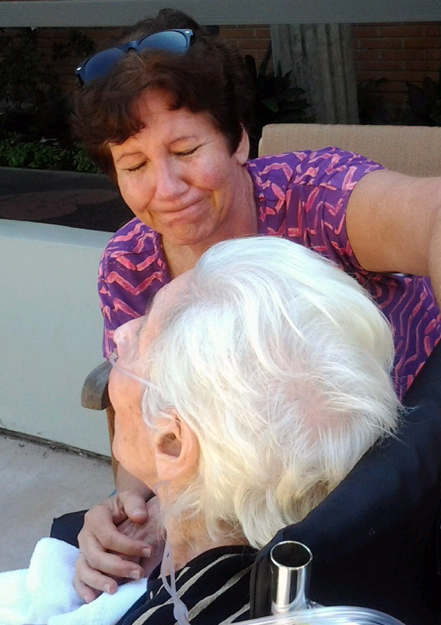 She missed her mother so much; they had been especially close. Even though memories of love sustained her, she was also burdened by memories of suffering. The Princess was so grateful for Melody. Her precious fairy stroked her and gently hummed sweet melodies into her ears. As the Princess lay upon the ground in darkness, she wondered how she would find a way to lift herself up. Once upon a time, she was so proud of her courage and willingness to seek freedom from negativity in her life. Now she was a prisoner in her own mind. She had walled herself in and succumbed to sadness. She could not open her eyes and she could not see the sky. 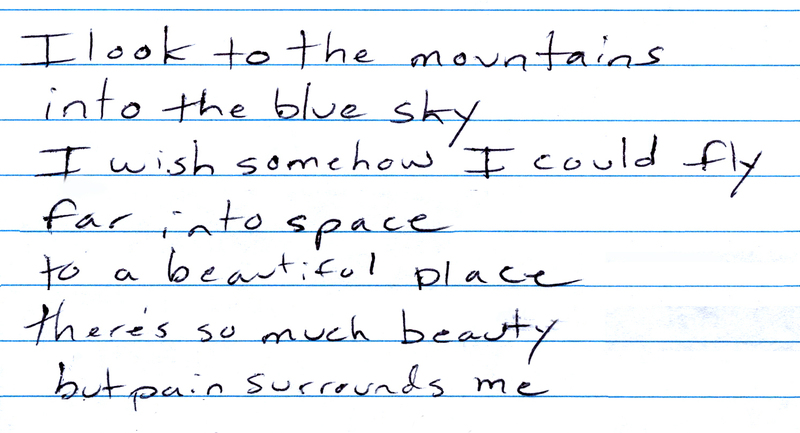 She missed looking at the mountains and dreaming most of all. The Princess could not stand the suffering anymore. It was clear that no one was going to rescue her. The only escape possible would be for her to find a way to free herself. Her most inspiring songs began to play loudly in her mind and she forced herself to open her eyes. She was not going to let the Dark Witch destroy her. The Princess prayed that Hope and Dreams were still waiting for her. 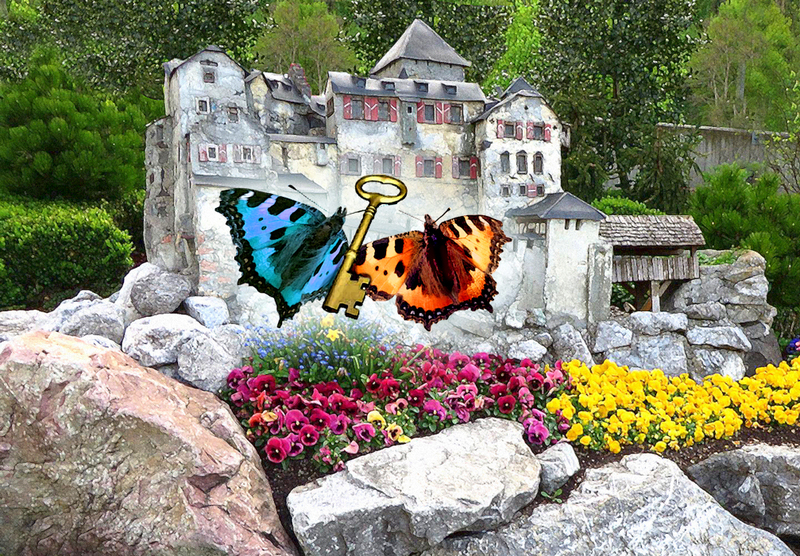 With memory of their colorful wings dancing in an expansive sky, the Princess became determined to find a key that would allow her to leave her prison. Even though she felt so heavy, she struggled to stand. In some ways, she was so burdened by her weight and in other ways she was so empty. She was unsteady as she stood up; she felt drugged. Gleefully, the Dark Witch blocked the Princess’s path with her broom. The Princess suddenly had an amazing revelation. That broom not only tormented her eyes, but it also was the reason for her emptiness. She relied upon that broom to sweep away any thoughts related to grief. That was why she was empty! The Dark Witch did not answer. The Princess continued to plead and question. 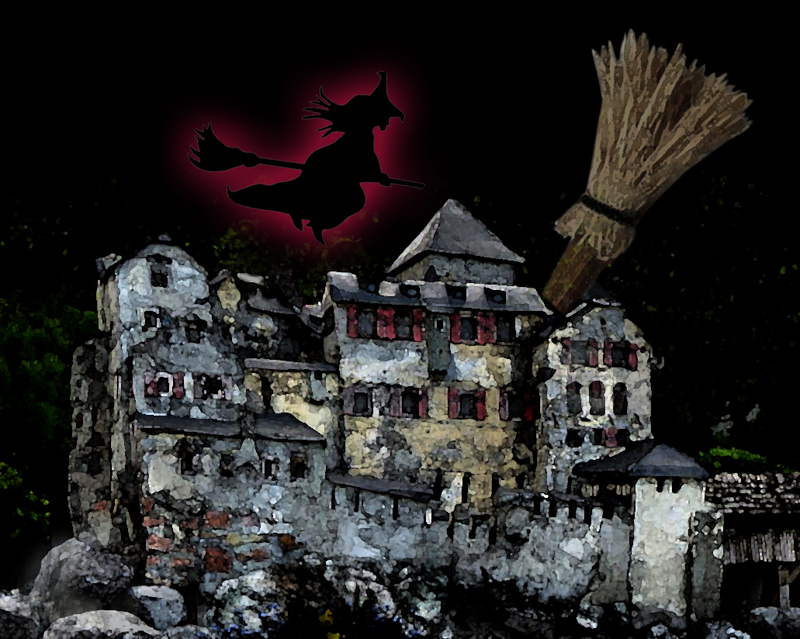 The Princess grabbed the handle of the Witch’s broom. This time she felt certain she had the strength to yank it away. The Dark Witch gleefully stabbed the Princess in her eyes with the stick ends of the broom. The excruciating pain brought the Princess to her knees. The Princess detested that broom. She was done sweeping because there was never an end to it. 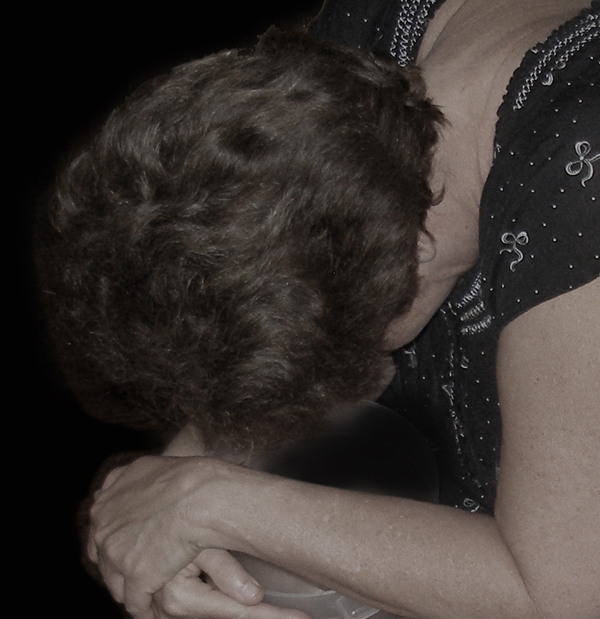 She wanted to stop drugging herself to escape from pain. She decided she was finally ready to search for a way to free herself. It was time to let go. The memories of love finally overcame the memories of suffering. She felt so much love within. She was bursting with music to share and had too many things left that she wanted to do with her life. Guilt was about self-hatred, not love. And Guilt would never allow Hope and Dreams to be with her and the Princess missed them so very much. Even though the Dark Witch continued to use the broom to taunt her, the Princess let go. The broom clattered to the floor beside her and she kicked it away. Guilt would torture her no longer. And the Princess would no longer sweep away her grief; she would allow it. Now the Dark Witch lost her power because the Princess stopped holding on. In the darkness, the Princess saw a glimmer of light and color. Two butterflies alighted next to her. Together they carried a key that glowed in the darkness. The Princess held tightly to her key and cried and cried; perhaps now joy would return! But her next task would be to find the Door. © 2014 by Judy Unger http://www.myjourneysinsight.com. Unauthorized use and/or duplication of this material without express and written permission from this blog’s author and/or owner is strictly prohibited. Excerpts and links may be used, provided that full and clear credit is given to Judy Unger with appropriate and specific direction to the original content. This entry was posted in Princess Stories and tagged arranging music, artist, beautiful music, butterflies, butterfly illustrations, castle and butterflies, castles, creativity, Dark Witch, defenses, discouraged, escape through music, Friendship, grief, GRIEF RELATED, guitar, healing music, hopeful and optimistic, inspiration, Judy Unger, key, key to free yourself, letting go, lifting yourself up, loss, loss of a mother, lyric development, lyric writing, lyrics, misunderstood, Music, music and inspiration, musical comfort, musical inspiration, musical rediscovery, optimism, overcoming grief, Painful words, passionate songwriter, protective mechanisms, pushing down feelings, singing, song lyrics, songwriting, staying hopeful, stuffing feelings, stuffing feelings with food, suppressing feelings, The Princess, the walls you've built, writing. Bookmark the permalink. my heart breaks for you and yet i know that you are going to come out of this with more songs to write and stories to tell that will help others break down their own wall of guilt. you are simply to marvelous a human being to treat yourself badly. Finally got around to reading this one. I loved it. you have struggled so much, and hope you are finding answers and resolutions, but it is your creative writing, art and music that will carry you thru. 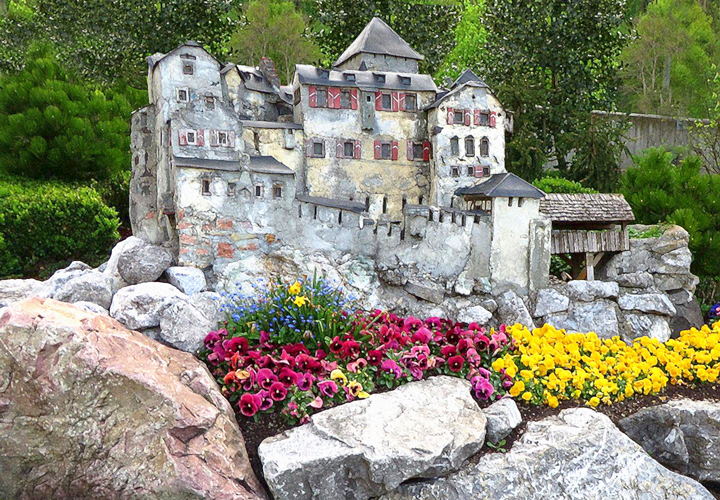 By the way, the mini castle is in a tiny town in the tiny country of Lichtenstein, in Europe. Well now I will update my post to say where it is. Thank you so much, Sharon. Yes, I will be okay. I have many blessing to lift me through – and you are one of them.